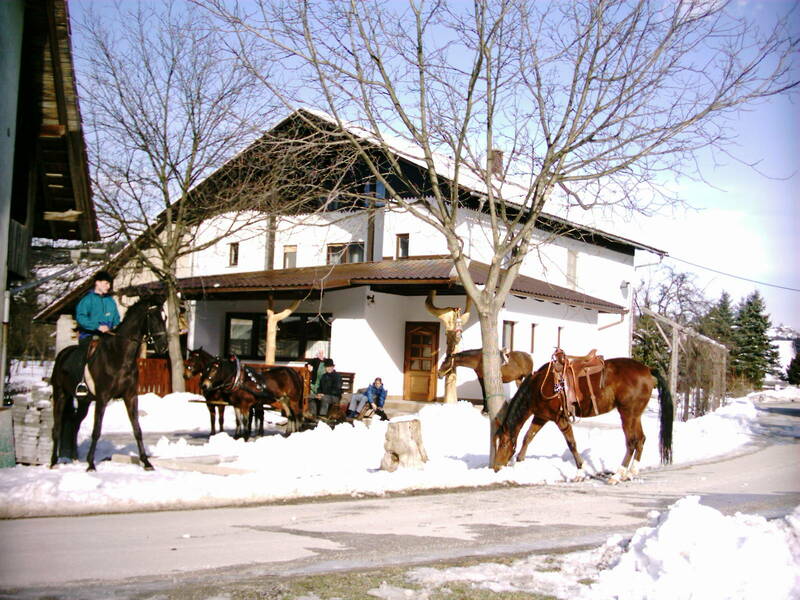 The Levc tourist farm guarantees a genuine Slovenia farm experience. The Puncer family have six double en-suite rooms (with shower and toilet) - these are half-board - and a 2-person self-catering apartments. In some rooms, an extra bed can be arranged. There is a cozy dining room which also functions as a bar, some of the drinks will be made locally. Once a week your host Tona will offer a traditional barbecue. The farm has horses, cows, pigs, chickens, rabbits and a few cats. In the stables, there is room for a few guest horses, so you can bring your own if you wish. There is an open space for learning to horseride on the farm. Your host and hostess speak German. Combine your hobby with a wonderful vacation in the leafy valley of the Savinja river. On horseback, cycling or on foot, you can enjoy the beautiful, peaceful surroundings. There are several spas (thermal baths) in the area. There are also several sporting possibilities like kayaking and rafting on the River Savinja or swimming in nearby lakes or pools. Other nearby attractions include: skiing at Golte (1862m. ), the mining museum in Velenje or surrounding caves. Address: Tourist Farm Levc, Loke 19, 3330 Mozirje. The farm lies in Mozirje, 55 km east of Ljubljana on the sunny side of the Alps. The Savinja valley stretches for 50 km in the direction of Austria. At the end of the valley is the well-known Logarska Dolina national park.